Vest: J. Crew. Sweater: J. Crew (similar). Jeans: Gap. Shoes: Chooka. Purse: Tory Burch. Can't go wrong with primary colors. This is the outfit I wore last weekend when we were running around trying to get our apartment situation figured out. Vests are actually really great for California winters (don't hate me Midwest and East Coast friends!) so I'm glad I picked this one up after Christmas. p.s. Sorry for how washed out these pictures are; I'm still getting the hang of this whole not-using-the-automatic-settings-on-my-camera thing. We stayed at the Hyatt Regency in North Lake Tahoe. I did some research on South Lake versus North Lake and found that North Lake is more laid back. I'm ultimately glad we chose the north side. There are no boats allowed on the northern half of the lake, and there were less casinos. All-around nicer. Anyways, we had a great experience at the Hyatt. It was beautiful (see above picture for mountain views from the hotel). There were several heated pools and hot tubs, many yummy restaurants, and direct lake access. Not many hotels (or apparently any) have direct lake access. On our first night we just wandered around and walked by the water. Isn't it stunning? Then on Sunday we drove over to South Lake Tahoe in the hopes of doing the gondola ride at Heavenly. Unfortunately, it was too windy, so the gondola wasn't running. I was really bummed about that, but will definitely want to go back so I can do the gondola. It seriously looked amazing, so if you're ever there you should check it out. After we couldn't do that, we explored the little town and headed over to the lake. That's where these pictures were taken. Since I didn't grow up around mountains I'm kind of fascinated by them. They're so majestic! We decided to do the next best thing to riding a gondola to the top of a mountain: head to a casino's top floor bar. Lol, okay not exactly the same, but the views were pretty great. The above picture was taken there. Doesn't it look so quaint? It was fun to see South Lake, but it just confirmed that we'd made the right choice about staying in North Lake. It was so busy. Sunday night we had dinner at the Hyatt's Lone Eagle Grill, which is right on the beach and a really beautiful space. I don't think either of us was that impressed with our dinners, but the Baked Tahoe (above) was pretty delish. So maybe just go for drinks and dessert. It was finally sunny on our way home Monday so we could see how blue the lake was, although we agreed that it was eerily beautiful in the rain and fog too. It was a short trip, but I think two days was the perfect amount of time. I was super nervous about the drive, but we didn't have to use the chains we bought for my car (returned 'em!) and it just wasn't as scary as I was expecting. I think Tahoe could be fun for everyone: obviously for skiers and outdoorsy people, or even for people who just want to chill and drink mimosas all day! 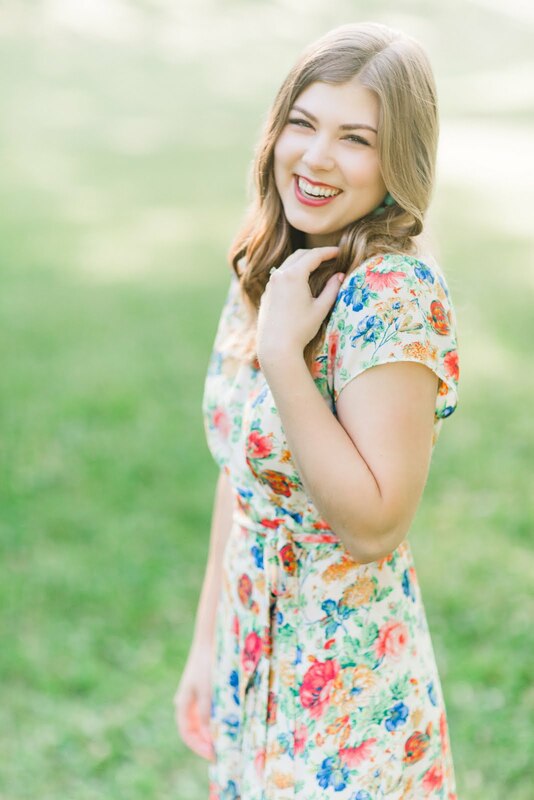 If you've been, I'd love to hear what you thought! Especially if you've been during the summer, because now we want to go back and see what it's like during the completely different season. Vest: J. Crew. Sweater: Gap. Jeans: Gap. Boots: Hunter. Sunglasses: Ray-Ban. Mittens: Macy's (similar). Hat: Forever 21(similar). Coat: Topshop (similar). Scarf: Gap (similar). This may just be my favorite outfit ever. I know I've said that before, but I'm updating it to this one. You can't really beat this background. Because I grew up in Minnesota, without mountains, I'm so in awe of them. I mean, I know most people are, but I'm just not used to them. We're surrounded by mountains here in Silicon Valley, but they're small and brown, so it was so awesome to see snowcapped ones in Tahoe. I'll finally post my recap of our trip on Wednesday, so be sure to stop by! Our weekend was very relaxed, which was nice because we have a lot of craziness coming up in the next month. Two different weekends we have guests coming, the super bowl is being played a mile away from us, we're moving (we finally signed a lease!! ), and I'm taking a trip to Arizona. It's going to be kind of nuts, but I'm excited! Hope you had a great weekend, thanks for stopping by! Coat: Ellen Tracy. Sweater: Loft (similar). Snood: Nordstrom (similar). Jeans: J. Crew. Sunglasses: Amazon. Booties: Sole Society (similar). For some reason this coat makes me feel very fancy. There's just something about ivory/white that feels luxurious. Maybe it's the fact that you can ruin it so easily, so you feel fancy and like an adult if you can keep it clean? I'm not sure I'm up to the challenge, but we'll see! The coat is listed as ivory online, but in person it's more of a very light tan. I wore this outfit out for dinner at the nicer restaurant at our resort. It was such a beautiful space - very cabin chic and right on the lake! Sweater: Gap. Hat: Forever 21 (similar). Jeans: Gap. Boots: Hunter (unfortunately, can't find the pink anywhere). You guys! You need this sweater. I raved about it on snapchat because I believe in it so much. I got it for $16 in store and they had a ton in stock. It's not cashmere but feels like it. 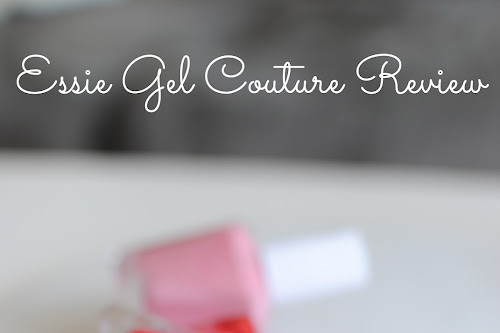 It comes in all of my favorite neutrals, and it has a cozy oversized fit, which I love. It was the perfect sweater for our four hour drive to Tahoe over the long weekend! These pictures were taken shortly after we arrived on Saturday and were having fun in the snow. I'll do a whole post dedicated to Tahoe and our experience there, so stay tuned! In the mean time you can see some snaps on Insta. We're already halfway done with the week! 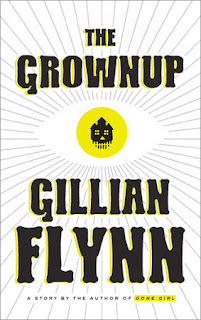 The Grownup is a short story by Gillian Flynn, who is the author of other favorites like Gone Girl and Dark Places. I think it's only about 50 pages, so easy to breeze through in a day. It's the creepy and addicting Gillian we know and love. I devoured this story and would recommend! 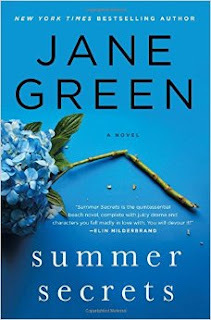 Summer secrets is the life story of a recovering alcoholic trying to make amends, so it can be a bit painful at times because you're wanting to scream at Cat and tell her to get her life together, but it will still keep you coming back. Why not me. I can't believe it's been so long since I last did one of these posts because I feel like I read this forever ago. 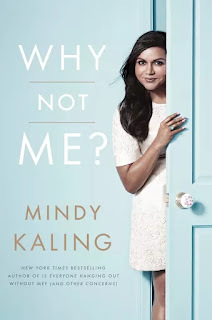 Who doesn't love Mindy? She's so witty and such a talented writer. You'll love, I promise! 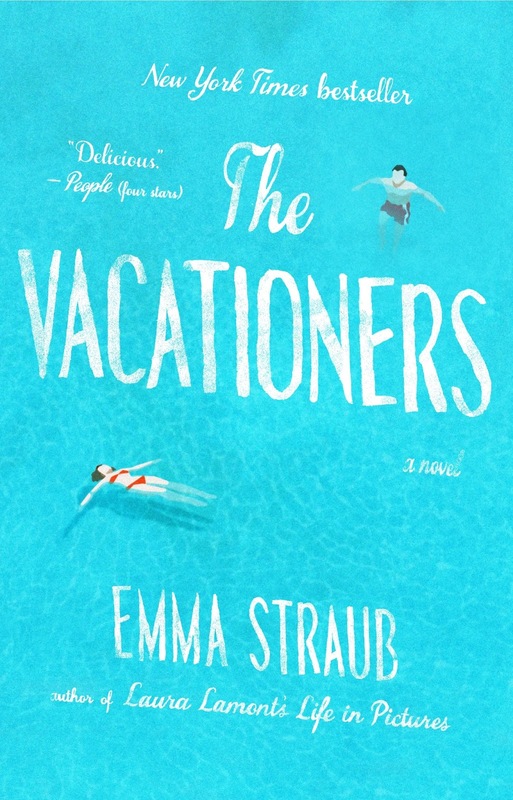 The Vacationers is a juicy story about family drama that takes place on the beautiful island of Mallorca. It will have you wanting to plan a trip to the beach ASAP. 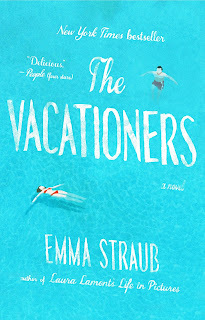 Therefore, I would definitely deem this the perfect beach read, it's nice and light, but highly entertaining! 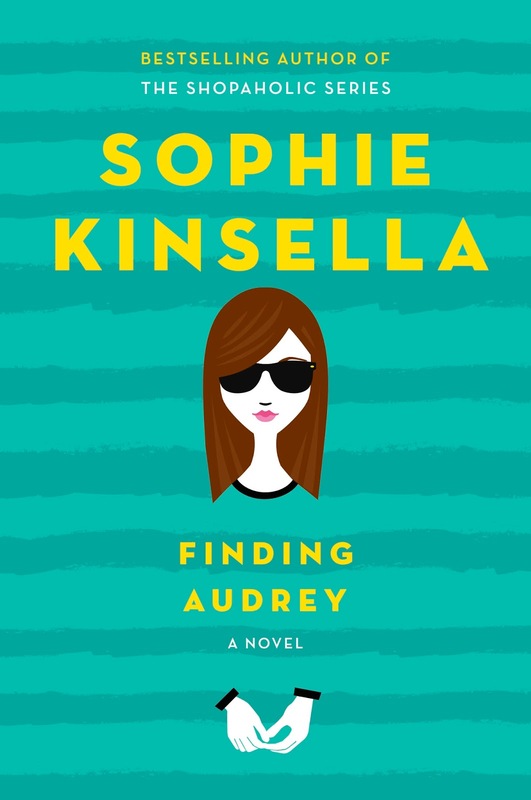 Finding Audrey is by Sophie Kinsella who is one of my favorite authors. 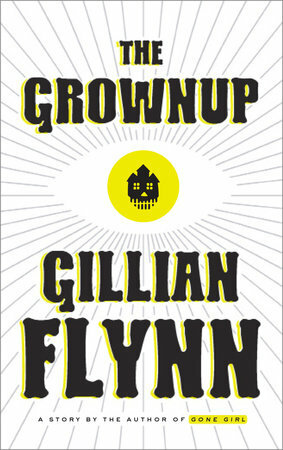 I know that I'll love every one of her books, but this one was exceptional. I'm not sure if it was pretty short (I read on a kindle, so it's hard to tell) or if I just whipped through it so fast because I loved it. It's the story of a young girl fighting her way through being a teenager and dealing with mental health issues. 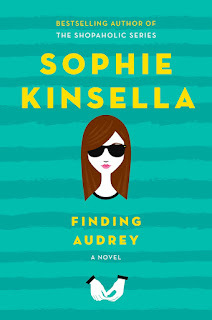 That may not sound appealing, but there's a love interest, and the way Sophie writes about anxiety is so spot on. What have you read lately that you would recommend? Would love to hear! Next up for me are Fates and Furies, Who do You Love, and Nightingale. Blazer: Nine West (similar). Top: Topshop. Jeans: J. Crew. Booties: Calvin Klein. Purse: Forever 21. Necklace: Loft (similar). We're halfway through the week - hooray! I don't know about you, but this week has been dragging, and it's only Wednesday. I know it's because we have fun plans this weekend. We're headed to Tahoe! This week is all about getting ready for that, like packing, buying snow tire chains (ah! ), and making sure I have the necessary cute, cold weather items. I'm so excited for the snow, and just to spend the weekend with Mark. This is our first real trip together!